to view the full 13 pages of the document. A force will not cause rotation about any point along its line of action. the force and the axis of rotation. perpendicular to the plane that contains the force and its moment arm. 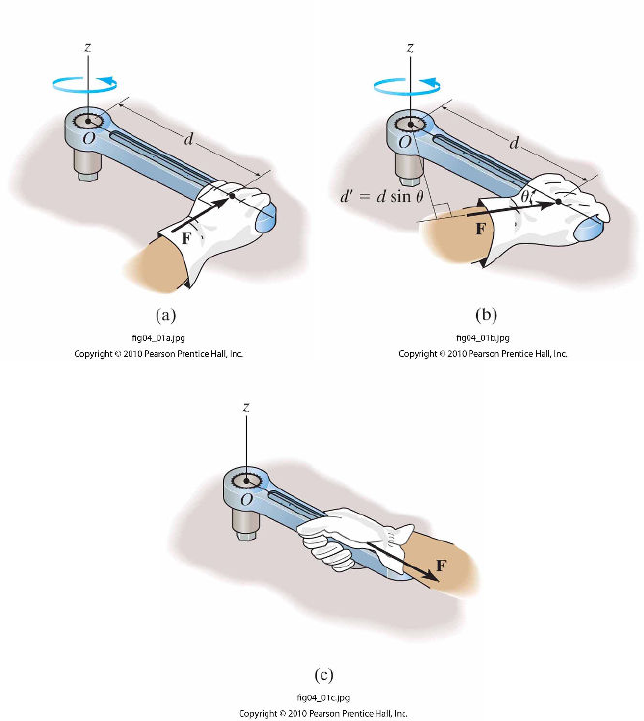 To determine the sense of the moment we use the right hand rule. cause the body to rotate counterclockwise about the point. algebraic sum of the moments caused by all the forces in the system. 4. 1 moment of a force scalar formulation. Moment - the tendency of a body to rotate when under the action of forces (aka torque, moment of a force) A force will not cause rotation about any point along its line of action. The magnitude of the moment is equal to the magnitude of the force times the moment arm. 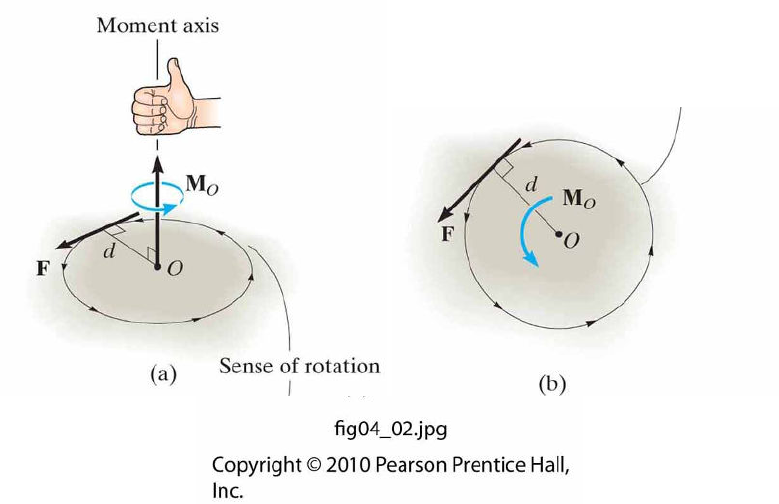 The moment arm is the perpendicular distance between the line of action of the force and the axis of rotation. Moments are vector quantities as they have both magnitude and direction. The direction of the moment is defined by its moment axis, which is perpendicular to the plane that contains the force and its moment arm. 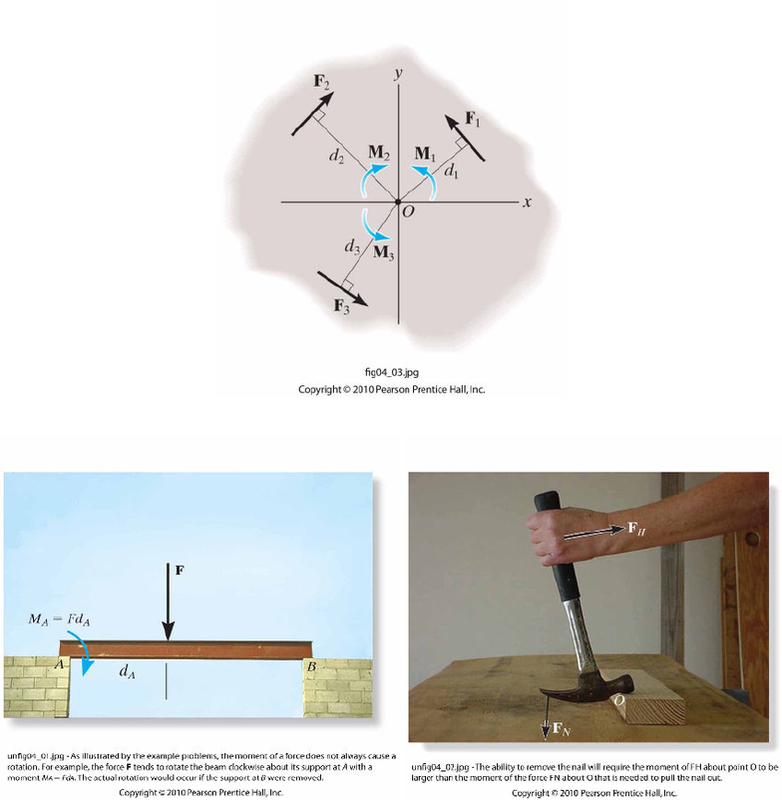 To determine the sense of the moment we use the right hand rule. The moment of a force about a point is considered positive if the force would cause the body to rotate counterclockwise about the point.